Welcome to the Fly Fishers Club of Orange County (FFCOC). We’re glad that you landed on our home page. Our club is dedicated to those that either love to fly fish or want to learn to love to fly fish. We have a lot of fun supporting both. It is a sport where the learning never stops and there are always exciting places to fish, some old favorites, others are new adventures. Take a tour of our website to see the kind of activities and opportunities we offer to those interested in the sport of fly fishing. Every month we host a club meeting at the Phoenix Club in Anaheim, CA where we invite world class speakers to talk about key places to fish, skills to develop, technologies to consider. Check out the Meeting Info tab to get details. Please join us. We will also host our annual Casting Clinic on September 7th of this year to help demystify fly casting and introduce people to the sport. This clinic is open to the public and more details can be found by clicking Casting Clinic under the Outreach menu or mail CastingClinic@ffcoc.org. 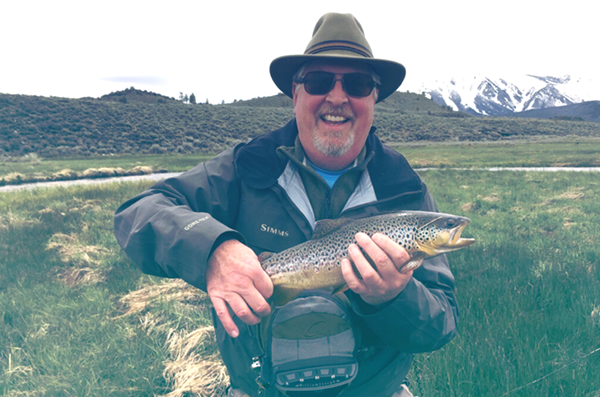 For members, we offer club outings to exciting fishing destinations, instruction through our Casting in the Park series, classes and workshops on Fly Tying and Rod Building, and participation in Conservation and Trout in the Classroom. Join us for one of our meetings. Check it out! 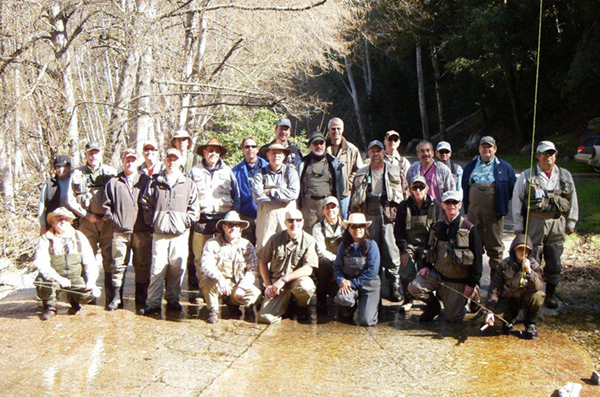 The Fly Fishers Club of Orange County offers several programs for Club Members as well as Community Outreach Programs. • Trout In The Classroom an educational program for schools where our Club works in conjunction with the California Department of Fish and numerous other organizations. • Conservation projects where our Club works in conjunction with other volunteer and government organizations on project focused on protection of fish habitat. • Annual Casting Clinic that gives non-club members the opportunity to learn the basics of fly casting. • Scholarship Program that sponsors an annual scholarship to students in the California State University System pursuing careers in aquatic sciences. • Also, non-club members are welcome to join us at our regularly scheduled monthly speaker meetings in Orange County as well as our annual auction. More information about these programs can be found by clicking on the “Outreach” and “Education” menu items above. Meeting information can be found in the column to the left and under the “Calendar” menu item above.